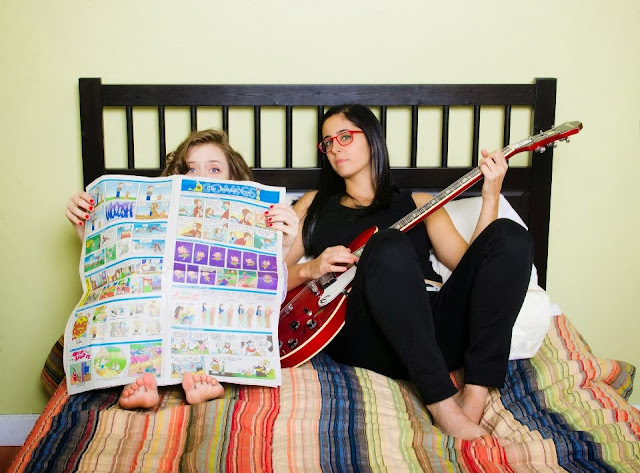 Starnes & Shah, featuring vocal duo Dania Abu-Shaheen (guitar/vocals) and Zilpha Starnes (keyboards/vocals), was formed in Astoria, NY in 2005. Bring a poet/songwriter from Lebanon together with a choirgirl from Dallas, Texas, and you get a unique musical counterpoint. The songs range from pared down acoustic ballads to rock anthems complete with choral arrangements and layered guitar effects. They are stories rendered with Dania’s poetry and music. Zilpha’s harmonies play between exchange and tension to produce a signature sound. 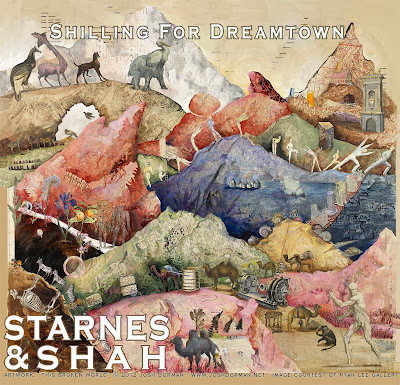 Starnes & Shah recently completed their fourth album “Shilling For Dreamtown” will be released on 11/9/13. “Shilling For Dreamtown” packs the duo’s catchy rock’n'roll punch along with vocal and compositional complexity. Quirky synthesizers and hard-driving guitars augment their trademark harmonies to conjure up nuanced narratives. The 12-track album, featuring the previously released singles “24 Million” and “Gatling Girl,” explores themes of loss and new beginnings in the journey of indie musicians. Describing this record as their most honest album to date, the ladies have put it all out there through a musical narrative which tells the story of being them: struggling artists, working women, loyal partners, yearning expats and much more. Previously, they released an acoustic EP titled “Here Again on the Island” (2006) and two full-length albums, “Summer in the Woodshed” (2007), and “Pink White Blue Green” (2009), “Red Brick Tide” (2011) featuring full band arrangements. S&S have played shows in Northeastern cities including Burlington, Portland, Boston, Philadelphia, and their current home city, New York. They continue to play regular shows in New England and New York, and will be touring to promote “Shilling For Dreamtown” in 2013 and 2014.